Being a neurotoxic protein, concerns regarding the side effects of Botox will not be far behind. Controversies spurred regarding the 180 reported adverse effects and 16 deaths from patients treated with Botulinum toxin for various diseases and conditions. The issue of Botox spreading into sites away from the intended treatment areas and causing lethal reactions to the muscles responsible for respiration and swallowing was also raised. However, the number of people undergoing Botox treatment continues to grow. According to the American Society of Plastic Surgeons, 2.8 million individuals in the United States underwent the procedure in 2008. The introduction of Botox as a treatment for wrinkles has provided a fast and convenient alternative to surgical facelifts. It comes at a much lower cost than plastic surgery. For aesthetic purposes, the concentration of the toxin is diluted and delivered in tiny amounts to the wrinkles on the face; hence most of the adverse effects are minor and self-limiting. The experience and knowledge of the doctor performing the botox injections are important in avoiding unnecessary risks to the patient. A person may complain of a wide range of idiosyncratic side effects of botox while another may experience very minimal unpleasant effects. There may be mild stinging, swelling, redness and pain to the injected sites. Depending on the technique, bruising may last for 3 to 10 days. Flu-like manifestations are also noted in 2% of cases. Even if Botox is an emerging treatment for migraines, transient symptoms of headache and nausea can be observed a few hours after the procedure. This feeling could last 24 to 48 hours. Resist the urge to massage the areas where Botox has been injected as this can spread the toxin to the adjacent parts of the face. There may be muscle weakness to the injected parts and this could present as drooping of the eyelids when the areas surrounding the eyes are involved. This often resolves in 3 weeks. Your doctor may prescribe Apraclonidine to hasten its resolution. When severe weakness of the lower lid occurs, inadequate eyelid closure may lead to exposure keratitis. Occasionally, weakness of eye muscles may result into double vision. These are temporary and are expected to reverse to normal in a few weeks. When the neck muscles or platysma are targeted, there may be problems of swallowing due to the diffusion of toxins to nearby muscles of deglutition. A soft diet will help alleviate this difficulty. Women with long, thin necks may complain of weakness in the neck muscles. Flexing the head or rising from the supine position may be laborious. This is due to the involvement of the sternocleidomastoid muscles. The following are signs that you have to seek medical attention urgently: rashes and hives due to allergic reactions, difficulty breathing, chest tightness, irregular heart beat, and severe swallowing problems which can cause aspiration of food. Check with the qualifications of your doctor and don’t be afraid to ask questions regarding to your worries and concerns on Botox. Articulate your expectations and be specific on what you want to achieve. 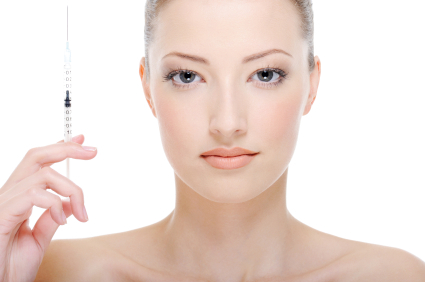 You can also study other options for wrinkle reduction, such as Collagen injections. Weigh the pros and cons before submitting for treatment. Proceed with your plans only when you have studied the risks and if you are confident with your health care provider.